THE YOUTH´S FUTURE IS SOCIALISM! On 3rd and 4th December 2011 the 9th Meeting of European Communist Youth Organizations was held Prague. 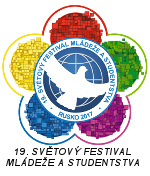 This important event was hosted by the Communist Youth Union (KSM) of the Czech Republic. The European-wide meeting of representatives of young communists was organized on a theme: "20 years after the counter-revolution and the overthrow of Socialism in Europe. The youth's future is Socialism". The meeting was attended by delegates of young Communists from Austria, Belgium, Cyprus, Czech Republic, France, Germany, Greece, Poland, Portugal, Russia, Spain and Turkey. Beside the debate on activities of individual organizations in their countries the participants of the conference discussed especially questions of crisis of capitalism, consequences of counter-revolution after two decades of restoration of capitalism in Central and Eastern Europe and its impact on the working class and youth and present necessity of struggle for socialism. As a part of the conference the foreign delegates met the members of the leading structures of the Communist Party of Bohemia and Moravia and representatives of other Czech left-wing organizations.